American Express vice president John Skinner is to debate the role of credit cards in the conference and events industry at the HBAA annual forum today. More than 300 hotel and venue professionals have gathered for the two-day HBAA annual forum, which kicked off this morning at the Holiday Inn Stratford-upon-Avon. 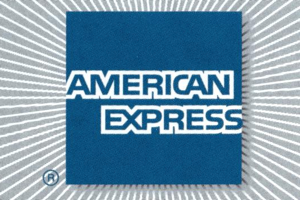 American Express's Skinner, who will examine the part credit cards play in the meetings and events sector this afternoon, is being joined by speakers from Best Western, the Brewery, Hilton International and Conferma. TOMS, social networking, winning business in a challenging market and sustainability are among the topics being discussed in workshop sessions throughout the forum. The impact of the Icelandic ash cloud and challenges to the industry at large are to be discussed in a key session tomorrow led by HBAA chairman Stephen Usher and the body's executive director Peter Ducker. Keynote speaker Melvin Gold, founder of hotel consultancy Melvin Gold Consulting opened this morning's event.